Four years ago, a few months before he got re-elected, President Obama read a book on the science of decision-making that he now considers one of his favorites. In "Thinking, Fast and Slow,"Kahneman, a Nobel prize-winning psychologist and inventor of behavioral economics, explores two modes of thinking, which he calls System 1 and System 2. System 1 thinking is gut-driven, instinctual. System 2 is thoughtful, reflective. Too often, Kahneman notes, people's decision-making gets mired in System 1 when really they should be taking a few seconds to study the problem at hand. 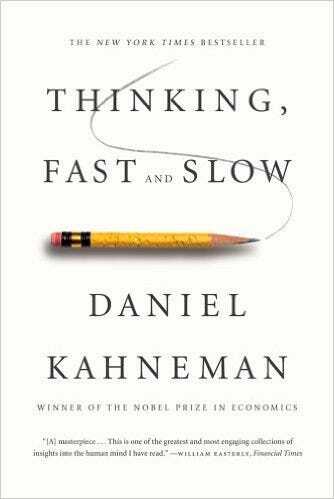 The White HouseSeveral months after Obama read "Thinking, Fast and Slow," CNN's Christiane Amanpour interviewed Kahneman and asked him whether he thought the president was a System 1 thinker or a System 2 thinker.